Scroll through thousands of diamonds at your fingertips with our loose diamond search and find that perfect diamond for your ring. You're sure to find a certified diamond in that perfect size, the perfect color and the perfect price. You can also search for fancy colored stones too, like gorgeous canary yellow diamonds. Like you, we're concerned about "conflict diamonds" so we make sure that all of our diamonds go through the Kimberley Process - supported by the United Nations. 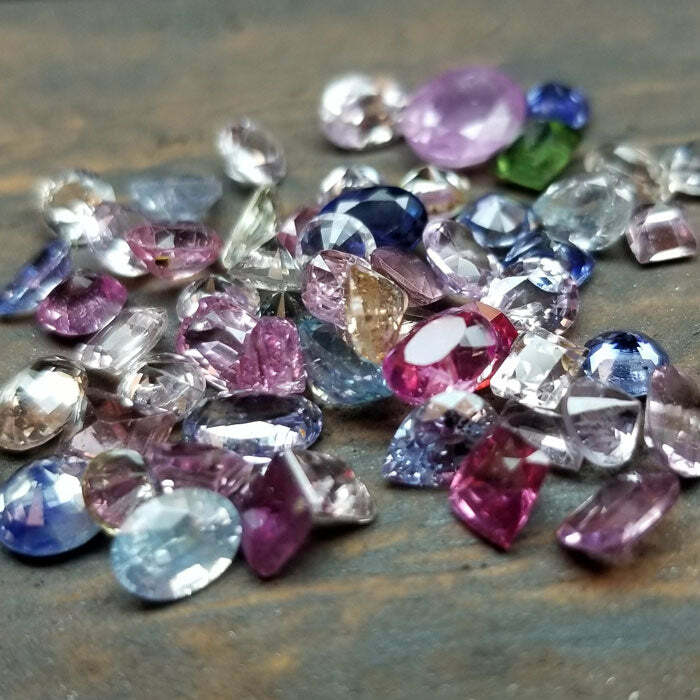 We also offer incredible diamond alternatives like loose moissanite from Charles & Colvard and Harro Gem, as well as great colored gemstone options like ruby, morganite, sapphire, yellow sapphires, black diamonds and everything in between. Can't make a decision or want some free expert advice? Finding that perfect diamond or gemstone for your setting isn't always easy, so feel free to use our Personal Diamond Shopper and allow one of our GIA Graduate Gemologists find the perfect stone at the perfect value for you. They do not work on commission, so their goal is simple...find the best stone for the best price. 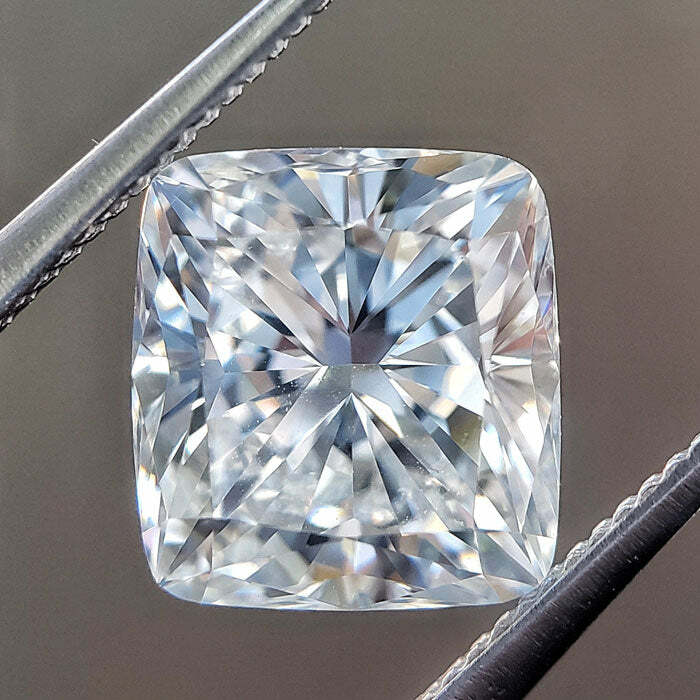 Striking a Balance - We find diamonds that give the best value for your money by carefully balancing the 4 Cs and analyzing all characteristics that affect diamond quality. 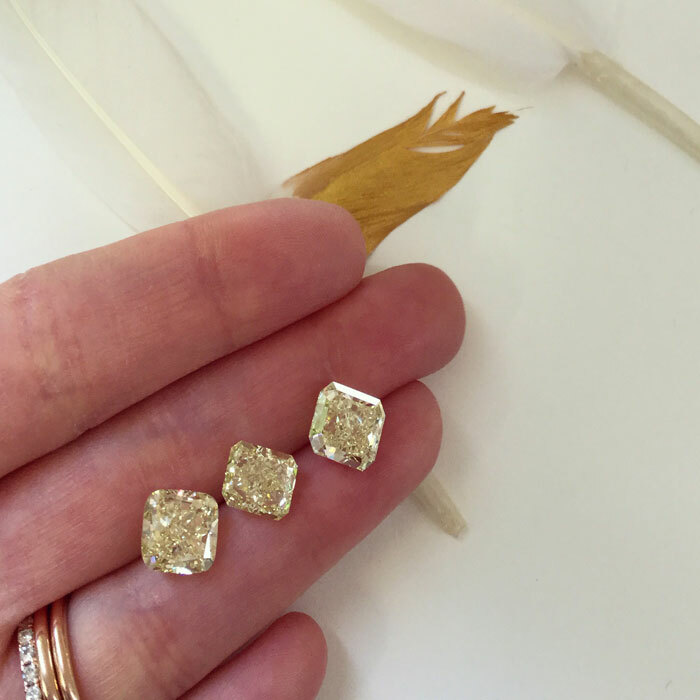 Unbiased Sourcing - We search the world, not our own inventory, for the best diamonds available. When we suggest a diamond, it is because we truly believe in it and would buy it ourselves. 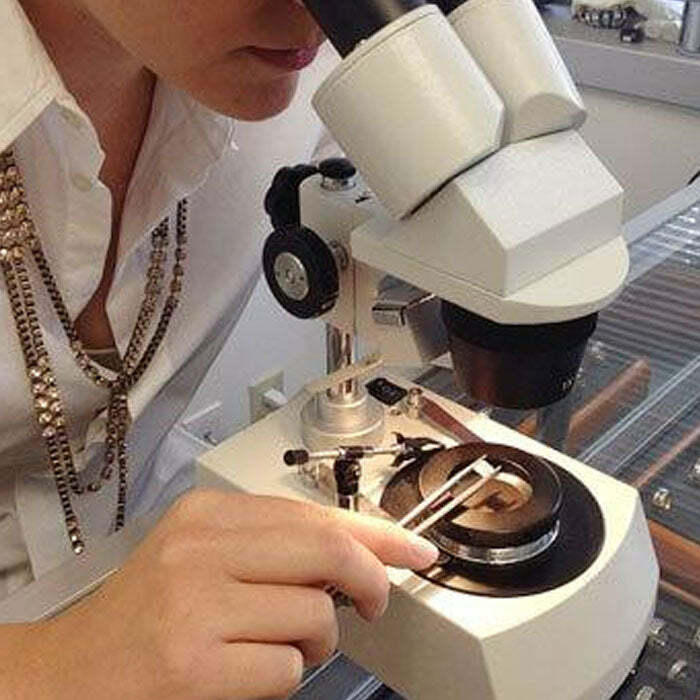 Strict Grading - We uphold the firm grading principles of GIA and personally inspect every diamond for sparkle and beauty before shipping it to you. We've got you covered at deBebians. With multiple GIA graduate gemologists on staff, we can make sure you get the best stones at the best value. And because our staff does not work on commissions, you can trust us to help you discover the perfect diamonds from our vast virtual inventory. Search our collection of loose diamonds according to carat, cut, clarity and color to uncover a beautiful stone at the price that fits your budget. All of our diamonds are graded by GIA graduate gemologists to ensure full transparency when selecting the right stones for your jewelry. Besides our clear and yellow diamond collections, you'll also be able to search for loose moissanite when you shop at deBebians. For those on a budget, moissanite provides the same level of sparkle and glamor as real diamonds but at a fraction of the price. You'll save hundreds or even thousands when you choose moissanite over diamonds, and no one will be able to tell the difference, even when viewing your jewelry up close. Like our moissanite rings for sale, these loose moissanites offer a great option for those who want significant savings while still enjoying a classic, timeless appearance for their jewelry. If you prefer a stone with a bit of color along with the savings of a diamond alternative, consider loose morganite. This beautiful stone has a rosy color that looks absolutely lovely as part of many types of jewelry, including engagement rings. Morganite has become increasingly popular in recent years, so it's an excellent option for those who want to stay on-trend. Whether a diamond or a diamond alternative is the right fit for you, you'll find a great fit when you shop at deBebians. Search our inventory on your own or let our personal diamond shoppers help you discover the right fit for your style and your budget. 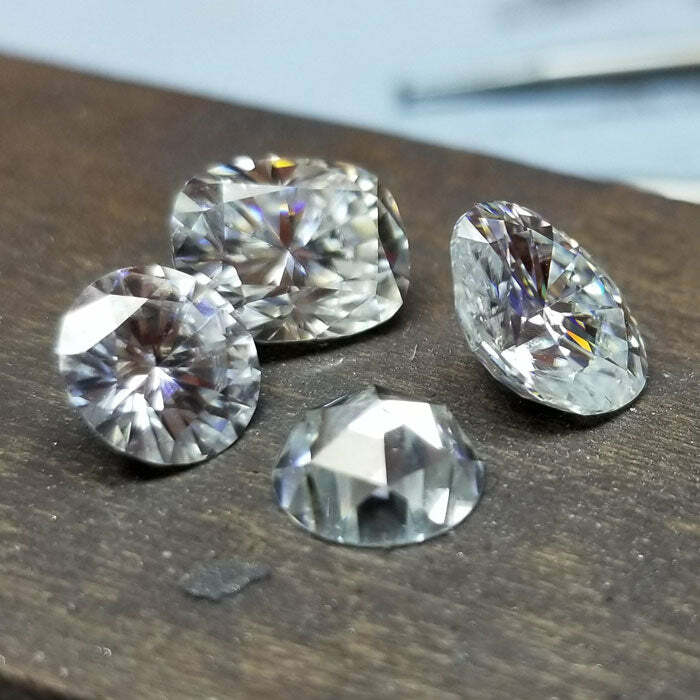 Our unbiased sourcing includes diamonds from all over the world (not just our own inventory), and our strict grading criteria ensures that every diamond is carefully inspected before shipping. Shop now to find gorgeous stones to use in any jewelry design.